The choice of midfield left a lot to be desired. Playing Arteta along with the Ox was asking for it. Chelsea played two defensive midfielders in Matic and Luiz. They showed respect. Wenger didn’t. They pressed us high up the pitch and our two midfielders couldn’t cope with it because they are not that adept nor do they have the muscle and tenacity to wriggle through. Wenger should have abandoned his preference for playing one defensive midfielder and one more creative who will bomb forward. At least against the big teams. He has the tendency to play the same way irrespective of the opponent. And not only does he field a weak midfield he instructs BOTH his full backs to go forward (Gibbs was near the opponent’s corner flag as they were scoring their early goals)! But this is like playing with fire. If it works then it’s great. But if doesn’t then its spectacular failure. In all our away games against the other three competitors Wenger NEVER fielded Arteta alongside Flamini. It was always one of the two and another more creative player like Wilshere, The Ox or Ramsey. The results? 5 conceded against Liverpool, and 6 against City and Chelsea! Mourinho on the other hand changes his team formation and players to suit the game in front of them. He did this at the start of the season when he played without a forward in the away gam at Man Utd and played not to get beat at the Emirates. He got his draws, saved face and moved on. But Wenger no. He has to play the same way every game against any opponent. He would have done this even if he was fielding a second eleven I think. Playing a high defensive line doesn’t help either. When you do this alongside a dodgy midfield and against top teams who have fast wingers and pressing midfielders then you are really asking for it. And we got what we deserved. The players also lack confidence. This is so obvious in the big games. They are afraid to play, lose concentration and cohesion. They do not believe that they can achieve a result against the big teams. And the result becomes a formality. Arsene Wenger cannot dismiss this as a blip. He has to, even at this late stage in the race for the title, learn from mistakes. In life the biggest mistake you can make is not to learn from your mistakes. But will Wenger learn? Every pundit has written us off. Everyone is talking up about Chelsea’s grasp of the trophy and how Man City’s challenge is coming off the rails. They are all forgetting that there is still two teams who are very close to the other two. Liverpool and Arsenal. Liverpool in fact have as good a record in the last five games as Chelsea! They have reached their peak at the right time. They have had no European games to worry about and now no FA Cup obligations. If they manage to carry their form further, as they are quite capable of doing, then they will get mighty close in my opinion. They next have Man Utd away, Cardiff away and then Sunderland and Spurs home. All winnable. And then there’s Arsenal. We have a very heavy schedule in the next four games. Spurs and Chelsea away and then Swansea and Man City home. Although difficult it gives us the opportunity to challenge our competitors face to face. And if we win these games their chances for the title are knocked really back. And ours will rise no end. Every game is vitally important but if we can come through this period and still be close then we have every chance of surprising everyone. Especially since the remaining fixtures are, on paper, easier. And don’t be surprised if it is us and Liverpool fighting for first and second place by the end. 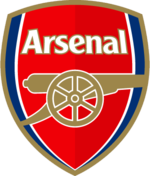 Let’s start with beating Spurs…. This is what we needed. A bit of luck. Chelsea get drawn away to Man City for the FA Cup and we get Liverpool at home. City feel forced to play their first 11 and promptly dump Chelsea out of the Cup. We play Liverpool out of the park avenging the 5 1 thrashing at Anfield. Then City get an easy home draw against a championship team which has to be played a few days before the return leg of the Champions League tie with Barca. Arsenal get Everton and have to field a strong team as they can't take them lightly judging by their performance at the Emirates in the Leauge. We win convincingly. Pellegrini, who is full of it having just won the League Cup, is however relatively new to the English game and certainly unaware of English grit, determination and the never say die attitude. He gets drawn into a false sense of security and proceeds to underestimate the opponents, fields a weakened team and gets dumped out of the FA Cup in one of the major shocks of recent history. Which leaves the door open for Arsene Wenger and his players with a real chance to win a title after a 9 year wait. It’s a real chance which has to be taken this time unlike when we lost so dramatically to Birmingham in the final of the League Cup a few seasons ago. And if we pull it off then we could be entering a period of ascendancy with the existing healthy financial model providing the resources for further reinforcements next season and the seasons to follow. What Wenger has to do is avoid Pellegrini’s mistake.